A new survey has surprised its researchers, revealing that older Australians may be less lonely than first thought. The Australian Loneliness Report, released by the Australian Psychological Society and Swinburne University, found that one in two (50.5 percent) of Australians feel lonely for at least one day in a week, while more than one in four (27.6 percent) feel lonely for three or more days. The results, which come from a survey of 1,678 Australians from across the nation, show that loneliness affects both genders and almost all age groups - with researchers noting that “interestingly” Australians over 65 were “less lonely, less socially anxious, and less depressed” than younger Australians. Post-Doctoral Research Fellows at Swinburne University of Technology’s Social Health and Wellbeing Laboratory Dr Robert Eres and Karra Harrington say they were “surprised” by the research finding. “In similar studies from the US and the UK, loneliness appears to peak in young adults and older adults, however here we find that older adults displayed lower rates of loneliness compared with other age groups,” Dr Eres says. “One reason for this may be that in the current study we may not have represented the older demographic well enough, so the results might only reflect those older adults who are more socially connected in general. While noting that the study suggests older Australians are “less affected” by loneliness, Ms Harrington says they don’t at all deny that older people still suffer from loneliness. 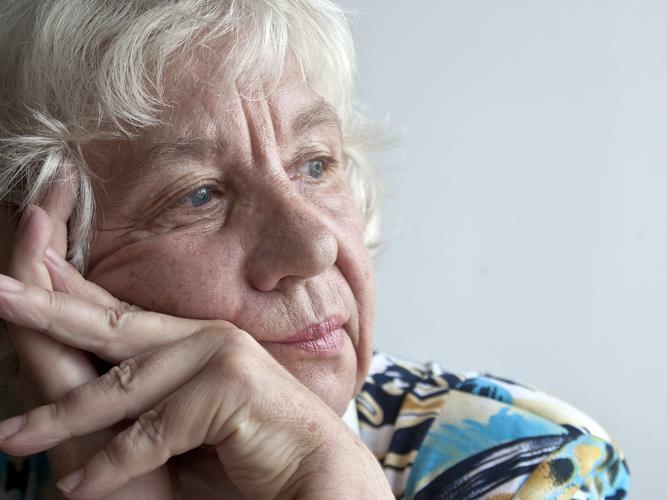 “Older adults are certainly affected by loneliness, but what loneliness looks like for older Australians may be different than what it looks like for younger Australians and this needs to be examined further,” she explains. “It’s quite a common occurrence for older Australians to feel lonely. “There are several factors that may contribute to loneliness in older Australians - for one, transitioning from the workforce to retirement can be a difficult process, it can remove a large component of one’s sense of social connectedness and meaning of life. “For others, loneliness may result from changes in one’s living situation, for example living alone or relocation away from the family home to retirement villages or residential aged care. The researchers add that the loss of a partner or spouse “contributes greatly” to feelings of loneliness and is something “especially relevant” for older adults. They also highlight the importance of those closest to us in tackling the issue. “Family, friends and neighbours are pivotal in maintaining a sense of social connectedness for older adults,” Dr Eres explains. “Older adults, like middle-aged and younger adults, thrive on social connections. The research team through their report, suggest increasing awareness, formalised training and policies as “steps in the right direction” to reduce “poor care” from many people, including service providers and even emergency department staff who are “unaware”. They also recommend for anyone experiencing loneliness, some “simple solutions” such as joining shared interest groups or shared experience groups as ways to alleviate their loneliness.